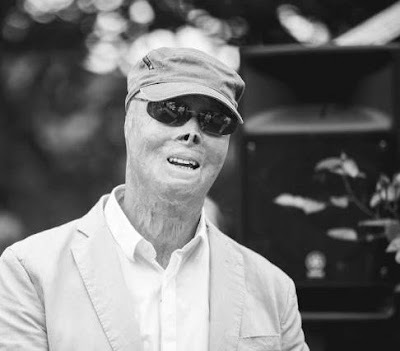 A Swedish firefighter Lasse Gustavson, who has lived with severe burns on his face for almost 35 years, has received an apology from Facebook after they deleted a photo he shared on the social networking site. Gustavson, who recently turned 60, shared a photo to celebrate his birthday & his friend, Lindeblad reposted the photo, which was immediately taken down by Facebook's policy monitoring team. The picture was posted again and in minutes got 200 likes, Facebook took down the photo again and upon his third attempt to upload the photo, he explained his ordeal of how Facebook took down his photo, it was shared more than 30,000 times in three days, an action he described to CNN as a form of "public protest." "Very '1984,' " he said of the action. "I was shocked, I didn't think it would go so viral," he said in an email. "A few Swedish people with severe burn damage contacted me and explained that it is common practice at Facebook to treat photos of people with serious burn damage the same way you treat photos with sexist or racist content," Lindeblad wrote in his report to Facebook. "It is nice to see for once that we made a case against the big corporation," he said.